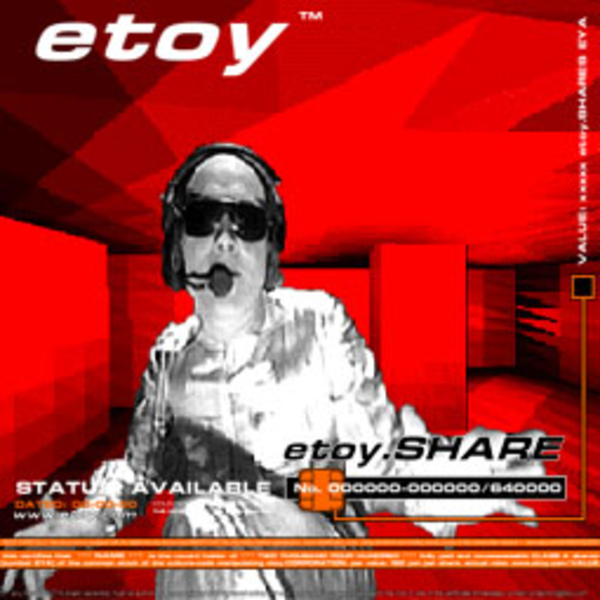 for the ENERGY techno festival 1995 in Zurich (more than 20.000 ravers) etoy delivered a custom screen/entertainment system and three etoy.VJs to support the groove on one of the 5 dance floors. this event was one of the biggest of its kind and at the same time the end point of the etoy.VISUAL - ENTERTAINMENT - BRANCH. the etoy.CORPORATION decided to leave this market at the climax because of the lack of further challenges. from now on all human and technical resources were fully concentrated on the development of web products, sound and internal communication tools.